In fact, having whiter teeth is the top aesthetic concern of most patients in Gilbert, and now there are a number of effective ways to achieve this goal. 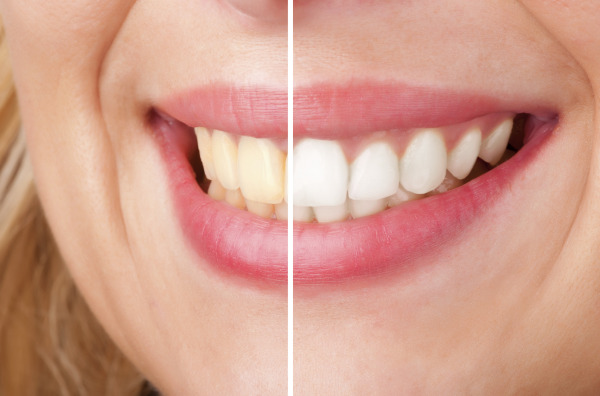 Red Canyon Dentistry can improve the brightness of your smile in just two appointments. Tooth whitening only works on natural enamel, so we will evaluate the replacement of any old fillings or crowns during your first visit. Then impressions will be made of your teeth to create custom plastic trays. At the second appointment, you will try on the trays to ensure that they fit properly and any adjustments will be made. Depending upon the amount of staining on your teeth or how white you want them to be, the trays will be worn with a special solution either twice a day for 30 minutes or overnight for a couple of weeks. We will give you care instructions for your teeth and trays, and because tooth whitening isn't permanent, we will encourage you to come in to our Gilbert office regularly for touch-ups. At Red Canyon Dentistry, we use Opalescence gel solution. It contains an active whitening ingredient that goes deep into enamel to get to discolored molecules. There are oxygen molecules in the whitening agents, and they react with the discolored molecules and break the bonds that hold them together. The oxygen molecules spread, which whitens the entire tooth and leaves you with a whiter smile. It contains potassium nitrate, which helps decrease sensitivity, as well as fluoride, which can reduce tooth decay and strengthen enamel. It comes in three flavors: regular, mint, and melon. If your smile has lost its shine and as a result you've lost some self-confidence, it's time you did something about it. The talented team at Red Canyon Dentistry has been helping people in the Gilbert area for many years restore the beauty of their smiles, and we want to do the same for you. Get in touch with us to find out about teeth whitening and everything else we offer.